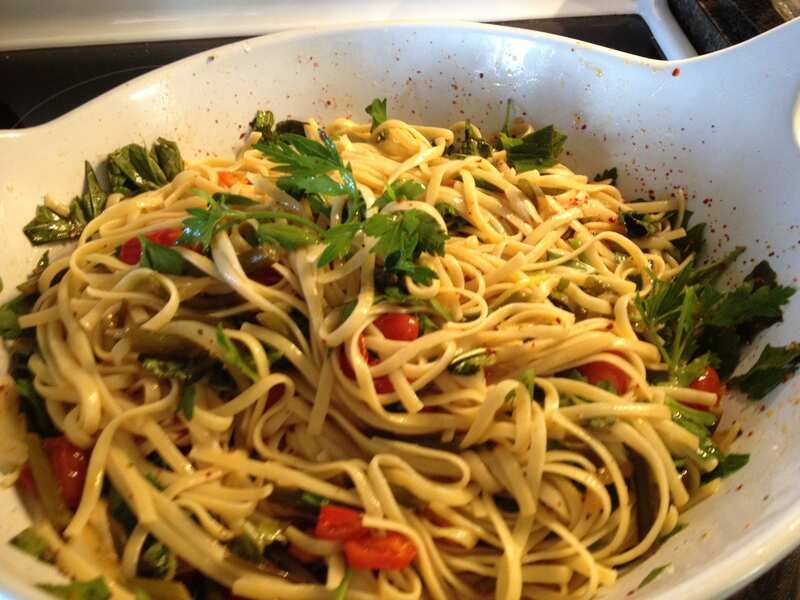 What a simple and delicious vegetarian summertime pasta! I use a low glycemic linguine but this can easily be substituted with a gluten free pasta for those who are sensitive to gluten products. 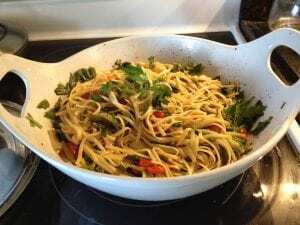 A light,fresh,flavorful and just so simple to make pasta dish that uses early summer garlic scapes which have a mild garlic flavor along with organic grape tomatoes, onion and red bell pepper. Plenty of fresh basil, parsley and lemon brighten this fabulous summer supper! Use as a main entree or wonderful side for Italian sausage, chicken or seafood! A light white wine is the way to go with this one!